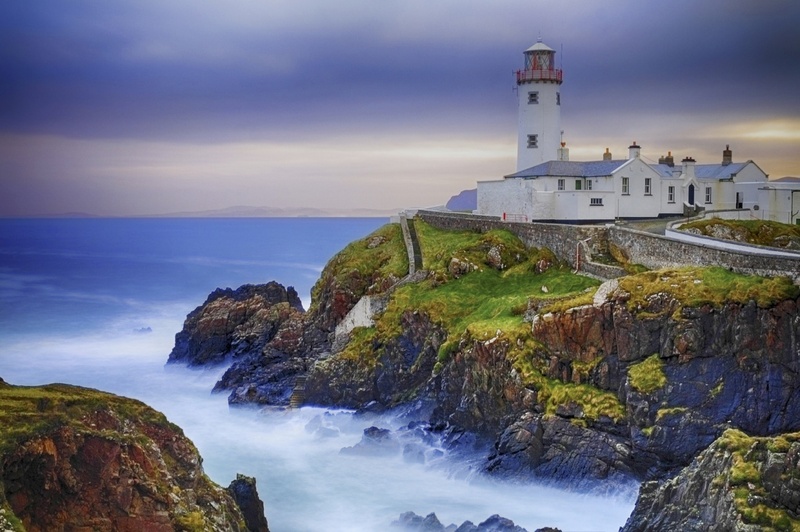 Sitting on the northernmost tip of Ireland is County Donegal and is the fourth largest county in Ireland. The county was named after Donegal Town, a borough of about 3,000 people that is known for its shopping and dining destinations. Donegal landscape features mountain ranges, a rugged and natural coastline that surfers tend to take advantage of, and many rivers such as the Erne, the longest in Ireland. There are plenty of places to see in Donegal. There truly is something for everyone, including everything from fine dining and shopping experiences to natural outdoor adventures. Glenveagh National Park is a haven for outdoor tourists. Incredible scenery is featured in the park with its lush woodlands, ice carved cliffs, bogs, lakes and mountains. There are plenty of nature trails and places to fish and camp. Inside the park is Glenveagh Castle, an 1873 granite stone home built for John George Adair. The picturesque town of Ballyfin in Donegal is a quiet little town with a few very good places to eat, and it's located just a couple of miles from a sandy beach known as Polland Strand. Polland Strand is a great area to do a little walking and is a haven for photographers. The town of Donegal itself it’s a great place to go and see many cultural events, festivals, and music all celebrating their unique culture. There are historical places to see that show the history of the Great Famine, which overtook Donegal County in 1847. The town also has a castle, previously owned by the O’Donells, who ruled the County until 1601. Sports are a major part of life in Donegal County. The beauty of the land is a backdrop to the many fine golf course located here. Rugby is an extremely popular sport with the locals, as well as is football. On any given weekend there are multiple events anyone visiting Donegal could attend. Irish music has benefited from Donegal as well. The Donegal fiddle tradition is a specific method for playing that is part of Irish musical heritage. Its style is influenced by the music of Scotland, and is distinct due to its quick pace rhythm and style of bowing. A great place to wrap up any trip to Donegal is to visit the Glenevin Waterfall. Sitting outside the town of Clonmany, this beautiful nature spot is a sight not to be missed. Find information about selected Hotels, apartments and rooms at Donegal to choose the perfect place for your accommodation.